All food preservation must be done by the person entering except for club entries. Items must be canned since the last fair. Check each section for youth age requirements. No items prepared by youth under age 9 may be entered. Youth must be at least 12 years old to enter classes by pressure canner method. A 4-H or EH club may enter an item in the name of the organization as long as it was prepared by a club member. All jars and lids must be BALL or KERR. 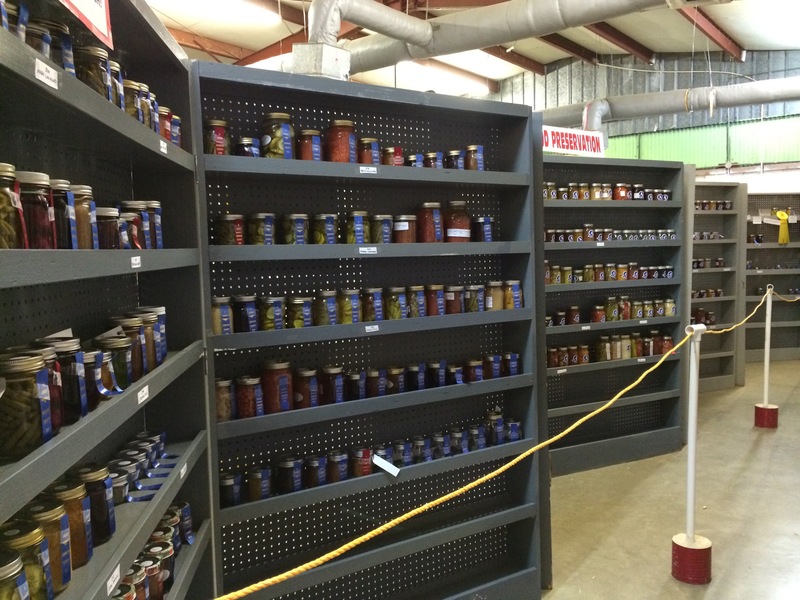 All jars must be clean, with screw bands in place and lids free from rust. No decorative lids and no fabric on lids. All canned goods must be in a standard quart, pint, or 1/2 size pint glass canning jar, sealed with two-piece lids, using appropriate heat processing. Paraffin is not an acceptable seal. Honey is permissible in clear plastic containers. All foods must be canned according to The National Center for Home Food Preservation (NCHFP) guidelines or www.uga.edu/nchfp, “So easy to Preserve” – University of Georgia, Ball Blue Book or www.homecanning.com. Any sign of spoilage or alteration from standard processing guidelines will be bases for disqualification of the exhibit. No food will be sampled by judges. Entries must be labeled (no larger than a 1”x 2” label) with product name, date of preparation, processing method, and length of processing time. Place required labels on top of lids. Entries with incomplete labels will be disqualified. Names of exhibitors MUST NOT be on the jars. Entries must be in unsealed standard canning jars. Honey should be identified with principle pollen crop if known.